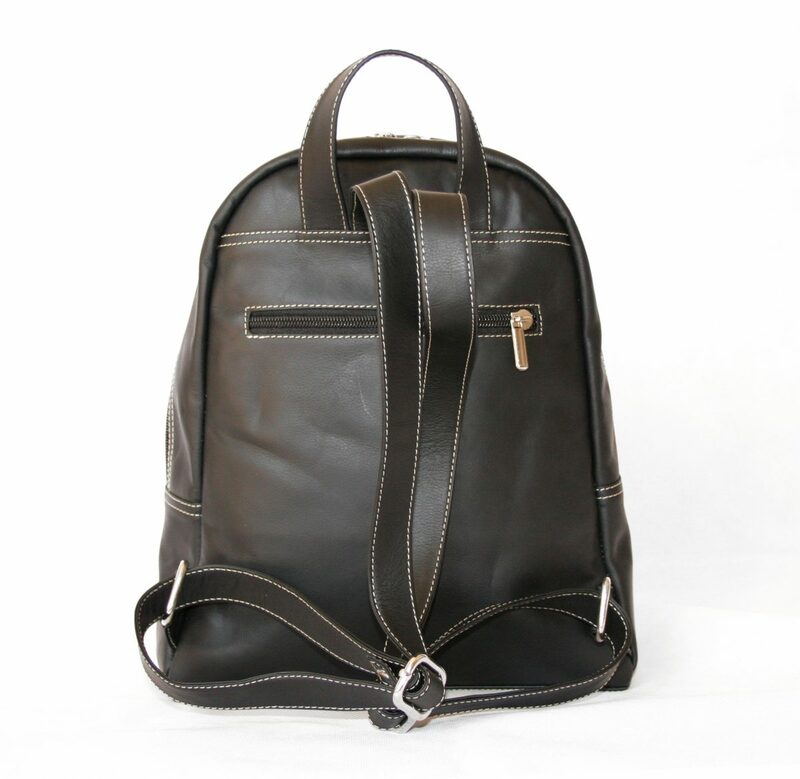 Beautiful and minimalistic design of our new leather backpack! 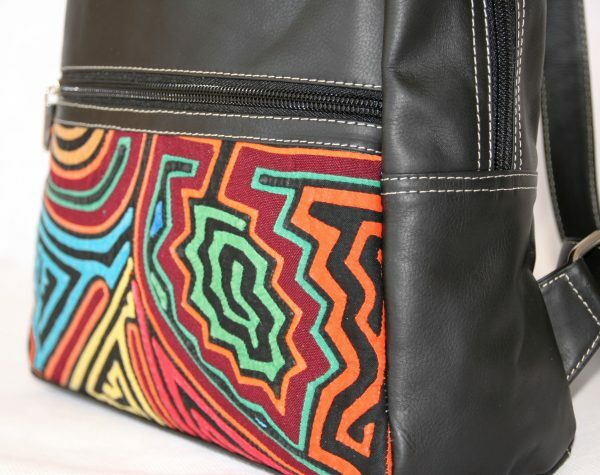 This unique bag is carefully handmade by our artisan family in Bogotá, Colombia. 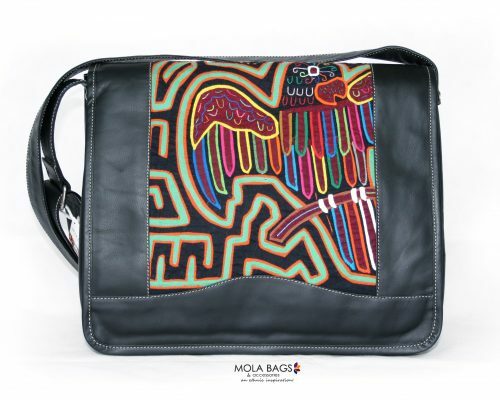 It showcases the Mola textiles from the Kuna indigenous community on the front side. There is only ONE exemplar of each bag! An ethnic inspiration! Urban and minimalistic timeless design showcasing the unique Mola textiles. 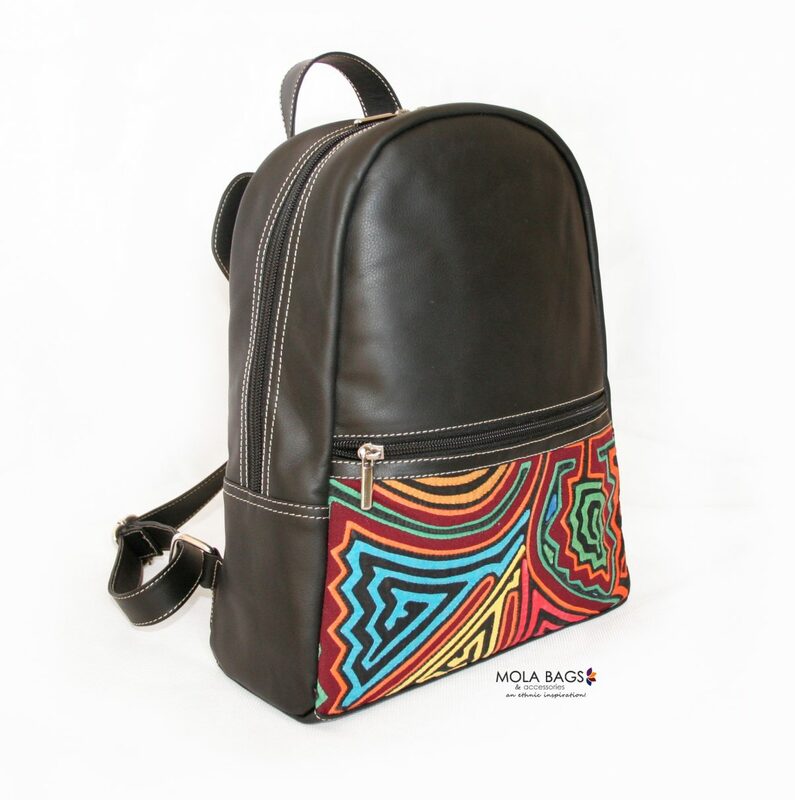 Practical backpack perfect for everything you need on your daily basis. The main compartment is available through a two-sided zipper offering enough space. With a separate foam protected inner division for a small laptop/tablet which is available through a velcro fastener. 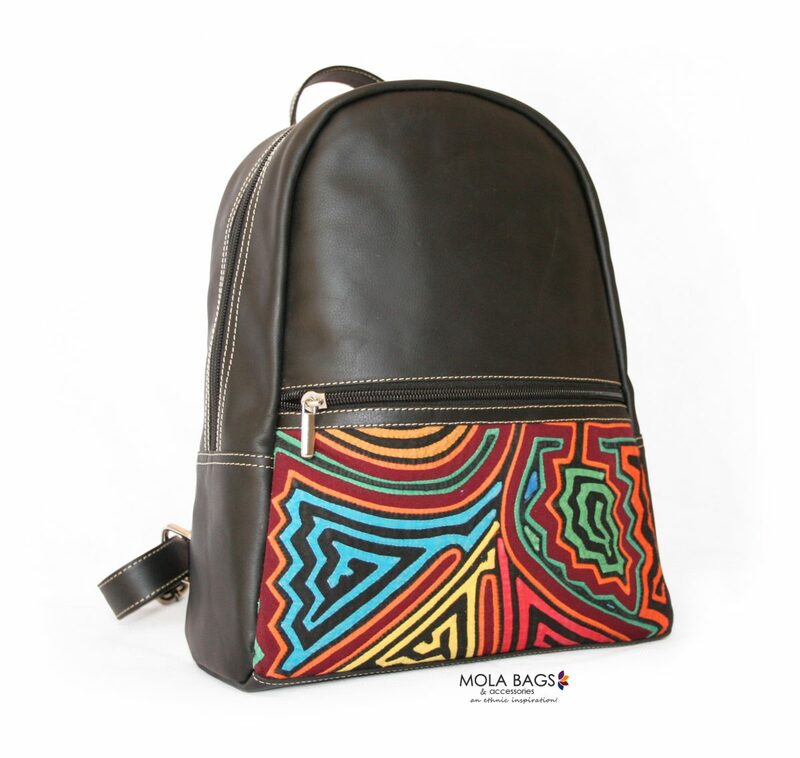 With three extra zipped pockets perfect for your small items. Practical handle to grab it while on the go! Dimensions: Lenght: 27cms. x Width: 10cms. x Height: 32cms. 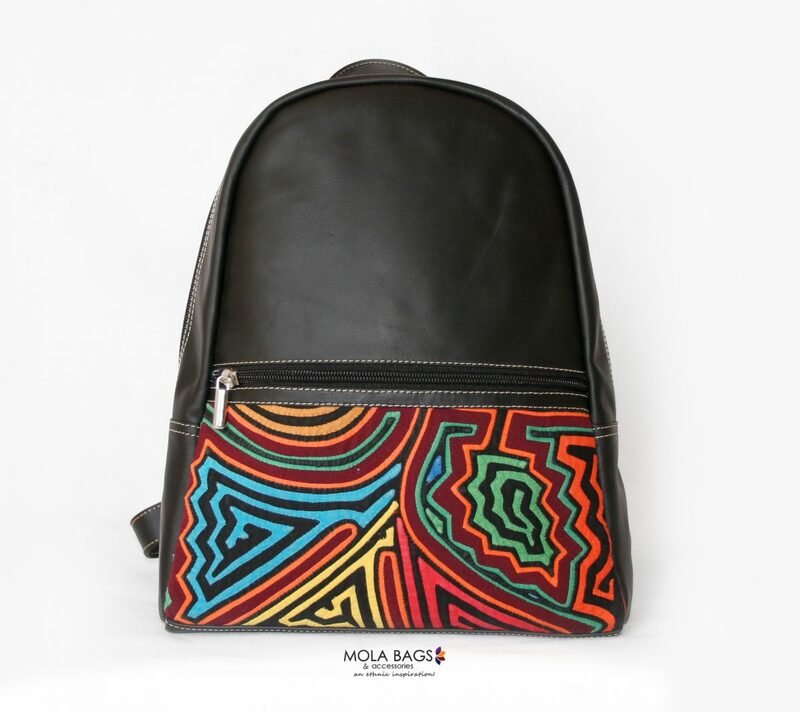 Materials: High-Quality Cowhide leather, Mola-Dekor from Cotton, Inside Lining from Polyester. 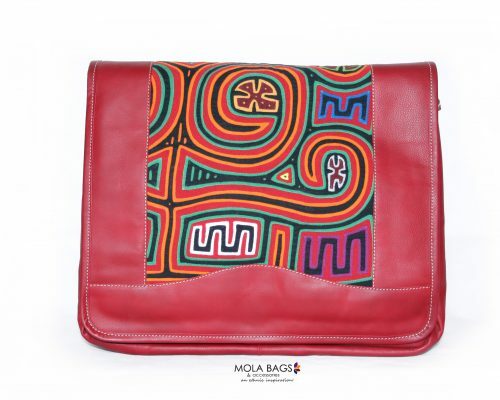 Process: Molas are handmade usually done in reverse appliqué technique, using two or more layers of cloth and cutting through to reveal the color underneath. 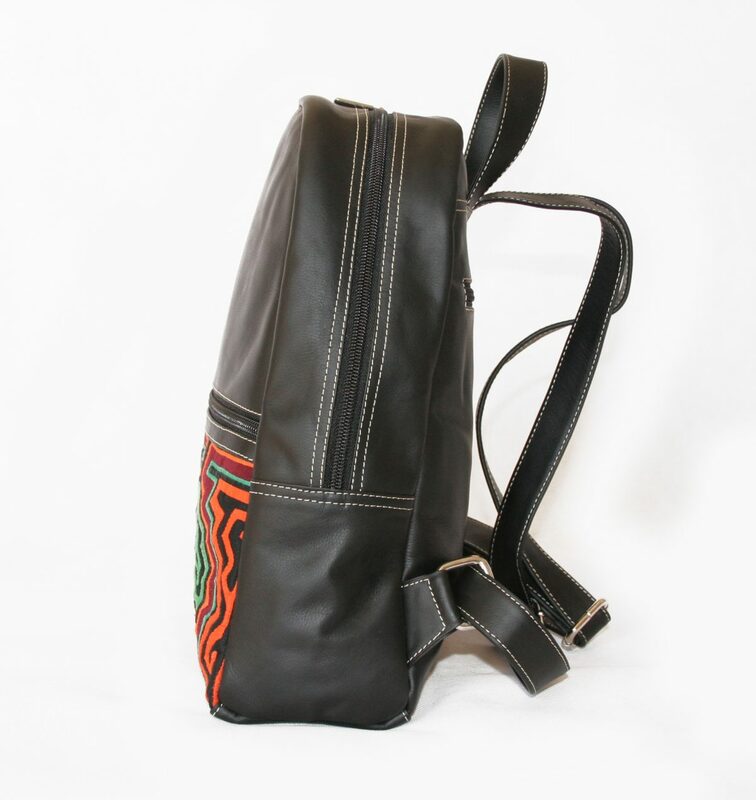 This bag is carefully handmade by our artisan family in Bogotá, Colombia. 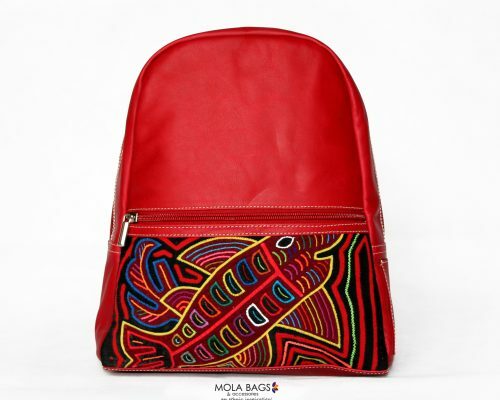 Mola textiles are directly fair traded with the Kuna indigenous community, taking into account that nowadays Molas are one of their most important source of income. 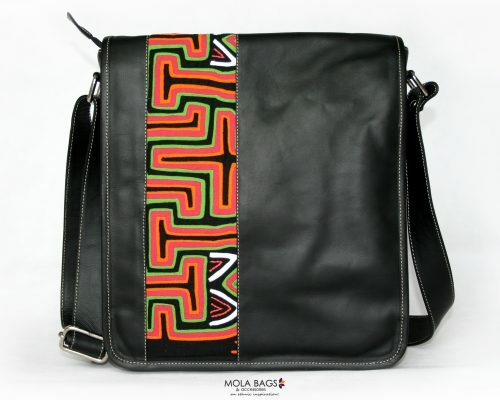 There is only ONE exemplary of this beautiful bag! Everyone will be charmed with the colors and shapes! A perfect sized and practical backpack suitable for every outfit and occasion.